Fast Weight Loss – Can You Really Change Your Body In A Week? Whaddya reckon? Is it really possible to lose weight fast? Like, in a week? Say you have this incredibly important night out. Maybe a hot new date … or a hot old date 🙂 Or maybe just a glam girls night out. Say you’ve been hitting the afternoon chocolate and post dinner vino a little too hard. That your skinny jeans are starting to look a little more like jeggings than what should ever really be seen on a grown woman. You can admit it – we’ve all been there. So is it a lost cause? Or can you really achieve rapid weight loss if you pull out all the stops? The logical side of you, the ‘trying to be healthy’ side of you probably knows that crash-dieting is a sure way to end up further back then where you started. Only problem with that is that when it comes to women and a looming ‘must look hot’ date, logic doesn’t necessarily prevail. Does it? I know I’m definitely not the only who has realised I’m a few belt holes short of looking exactly as I’d like to look around the midriff before a special night out. So I’m going to let you in on a little secret. You CAN lose weight fast, and you can do it without compromising your health and without experiencing a crazy yo-yo effect afterwards. 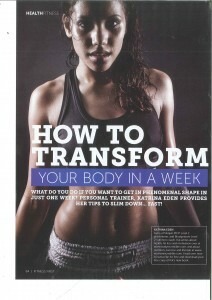 In my most recent article for Fitness First magazine I teach you how to transform your body in a week. You can download page one here and page two here. As an over-weight young woman, I have been trying to lose weight as long as I remember. 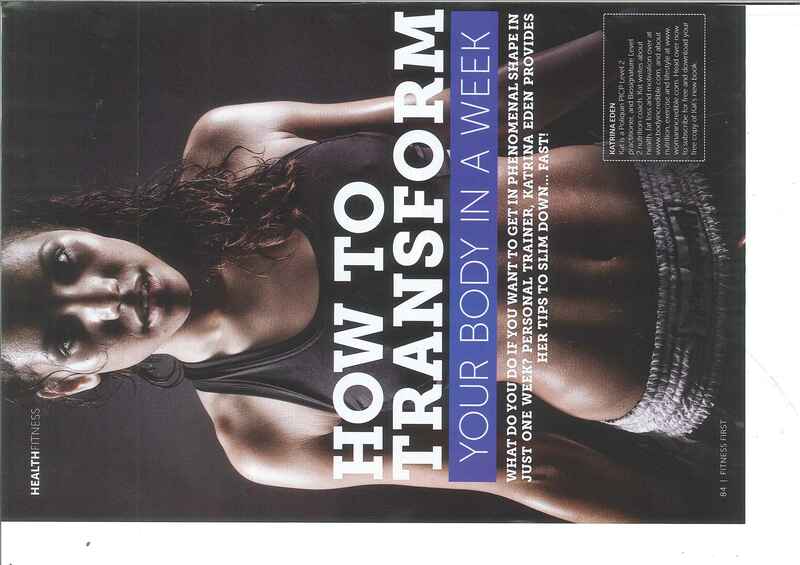 I have tried a lot of different methods but I haven’t been successful, until I read an article in Fitness First May / June edition. I tried the ‘How to transform your body in a week’ and it works! I lost 3 kg at the end of the week and I am really happy with the result. I went to the gym every single day, have a long sleep, quit snacking, quit drinking alcohol, and limit my caffeine consumption. All with one thing in my mind, it is only for a week! And the best thing is, what I did in the whole week had become a new habit for me so I think I’ll just keep going and see what happens next. Thank you! You literally changed my life!